Parade line up begins at 4:30 p.m., and the parade begins at 6:00 p.m. Cash prizes for 1st, 2ndand 3rd place overall. Winners are announced later that evening at the Annual Community Tree Lighting in Beulah Lee Park. 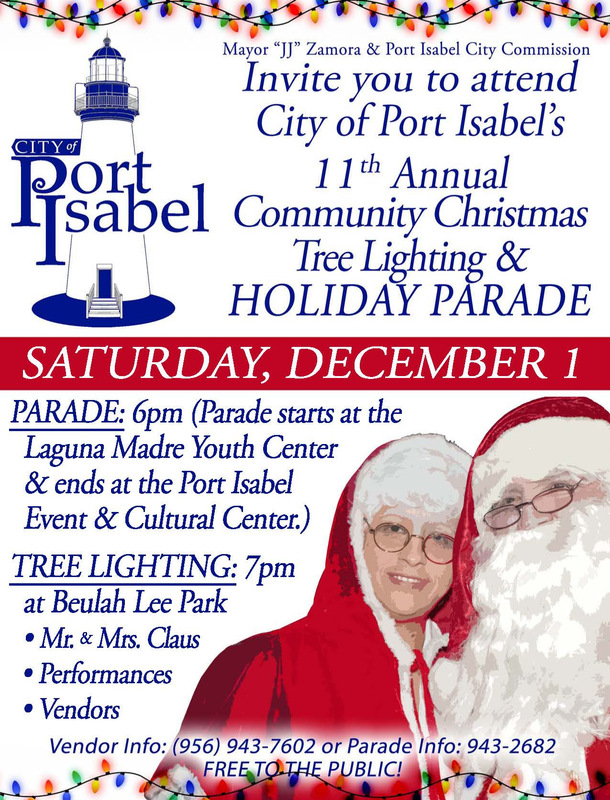 Winners not attending can pick up their prizes at the Port Isabel City Hall the following day.